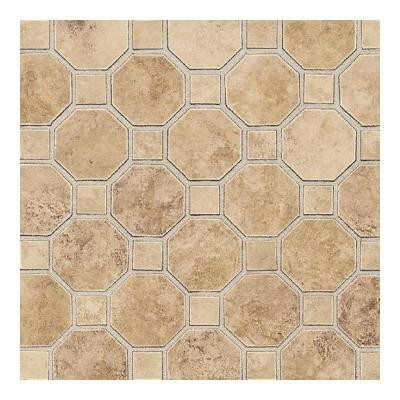 The Daltile Salerno 12 in. x 12 in. Marrone Chiaro Ceramic Octagon Mosaic Tile features a beautiful glazed smooth finish and presents a low sheen with a moderate variation in tone and is durable enough for medium-duty residential floors, including kitchens, halls, corridors, balconies, terraces and more. This vitreous tile is frost resistant for both indoor and outdoor applications and may even be used in backsplash or countertop installations for added versatility. You can buy this product in our internet market. We will be glad if you make the right choice.